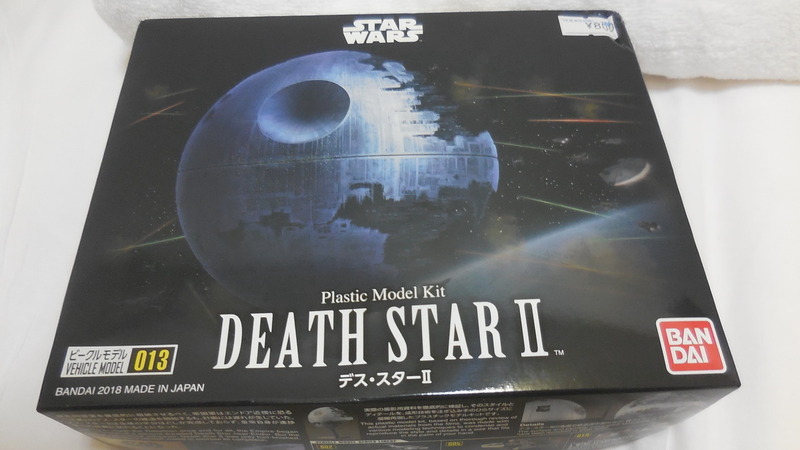 While in Tokyo last weekend shopping at model stores all afternoon long in the Akihabara district, I picked up the new Death Star II kit. I'd brought my nippers with me, so with some sanding sticks I bought that day I did a quick build of this kit in my hotel room that night. Here is a photoset of that build on my Tumblr modeling feed. I posted this on the SFMA Google+ page a few days ago. After filling the seams I'll prime it black, then build up the gray, do a wash, and probably do some drybrushing on the construction layers to help bring out the detail. Somehow the "laser dish" looks rather large on the 3d model. Not sure what to think about that. I should go check out the photos. Sometimes, camera angle can wildly distort the proportions of something. I periodically look for Bandai Star Wars kits on ebay in hopes to find new stuff. Btw I've seen Y-Wing, X-Wing, B-wing, Tie fighter, Vader's Tie Advanced ship, Snowspeeder in 1:144 scale, which would complement the 1:144 falcon kit(s). Sadly, with recent sales of the new B-Wing, the price is just too high for a 1:72 kit imo. Hopefully the price for the B-Wing will lower, though it sort of seems like maybe the B-Wing is a limited thing, which would be well silly. 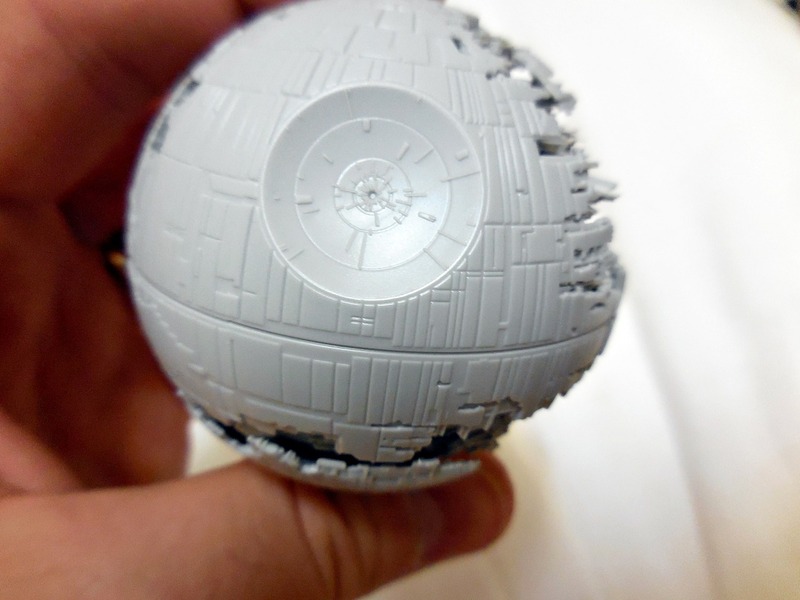 Ah, I've also seen a 1:144 death star trench kit, but it seems to be simply a collection of those collectable parts that comes with the 1:72 kits, and only showing the bottom and the right side wall afaik, probably not authentic. I wouldn't mind seeing a Bandai Super Star Destroyer kit to go with their tiny Star Destroyer. Btw, I have the B-Wing in 1:144 scale (toy, not Bandai) and up till today I've always wondered how the B-Wing could be so powerful as it seems to be in terms of being a bomber, though looking at my shelf now, the X-Wing is so much smaller than the B-Wing I see now. Never thought about that before until today. Probably a lot larger than the Y-Wing as well. Btw, I found another photo. The proportions looks more correct in this photo below. That is a very great idea! I will pass it along to the Bandai rep I know. Already the R4-I9 I suggested will become a reality, as well as the 1:1000 Blockade Runner we discussed. About the B-Wing, traditional Star Wars lore has it that Admiral Ackbar designed the B-Wings as bombers intended to take out Star Destroyers. I'm not talking about the Rebels show, which shows B-Wings as mini Death Stars. Stupid. It's the same show with handheld helicopter lightsabers too. The price you are mentioning must be for the LE SDCC2018 version. The regular version comes out this weekend here in Japan, and I have it pre-ordered. It's bigger than an X-Wing and thus comes with a higher price tag. I can't imagine Bandai making a large Super Star Destroyer kit, at least not before the Corellian Corvette. I would have liked to see a Super Star Destroyer that matches the given scale for the I think 1:10 000 scale Star Destroyer, however that would make it somewhat large.